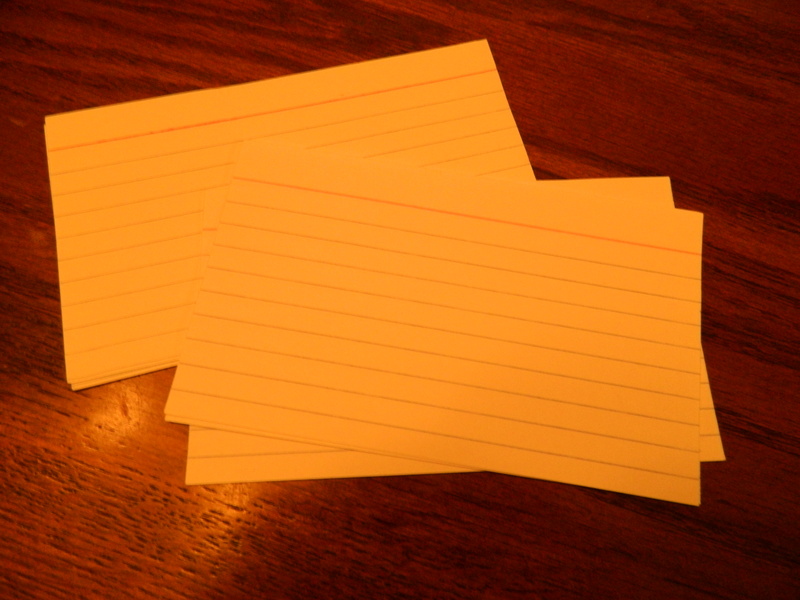 Do you need an activity to encourage student discussion and stimulate classroom discussion?At the beginning of the semester students are given an index card to record their name and contact information. They are also asked to write down something unusual, unique or interesting about themselves. These cards have a dual purpose – not only does it help the instructor remember the students’ names, but the cards are also used to randomly pick names for the oral comments assignment. Students are required to come to class with a journal entry from the assigned readings each week. As an extension of this assignment students are randomly drawn from the deck of index cards to discuss a point or two from their entries. Students are called on to make comments from three different chapters over the course of the semester. If the students are prepared they receive points towards this overall assignment. If they are not prepared they are allowed one “pass” without penalty. If they never had to take a pass they receive “bonus” points. This assignment not only encourages the students to have read the required reading on time – but it also provides for great discussion from the student and the rest of the class. The assignment guarantees that all students will be involved at least three times in sharing during the semester.